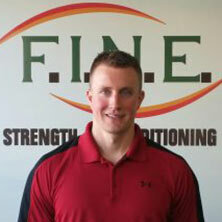 Personal Trainers Near Me Medford: Should I Work Out When I’m Sick? 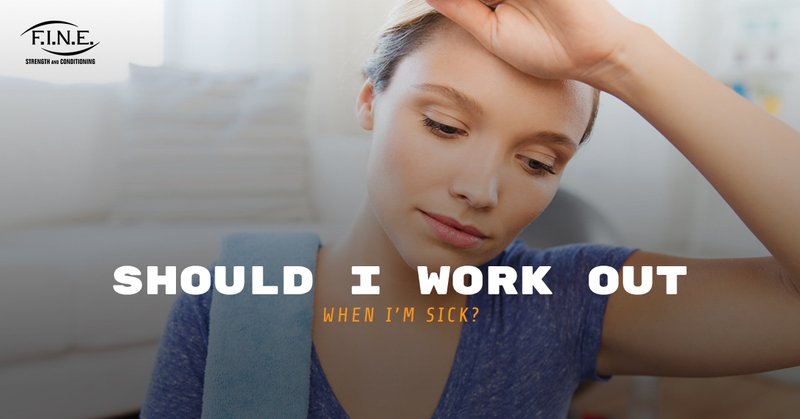 As the top personal trainers in Medford, we often get this question: “Should I work out even though I’m sick?” This is a fair question. After all, working out comes with a variety of health benefits, including boosting your immune system. However, when your head is pounding and your nose is running, the last thing you may want to do is go for a run. At the end of the day, whether or not you workout when you’re ill is a personal choice, and if you decide to sit on the couch for a couple of days instead of sticking to your usual routine, it isn’t the end of the world. 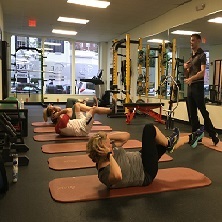 However, if you are jonesing for a workout and are wondering whether or not your ailment is going to set you back from your goals, here is a handy guide to help you decide whether or not to visit our gym in Medford. Many doctors suggest you use the “above the neck” rule when deciding whether or not to workout when you’re under the weather. The idea is that if the symptoms are impacting you above your neck, such as stuffy nose, sneezing, or earache, it’s probably safe to workout. In contrast, if your symptoms are below the neck, such as body aches, fever, diarrhea, or chest congestion, it may be best to table your workout until after you’ve recovered. If you decide to workout under these conditions, it’s important to practice proper hygiene when you come to our gym in Medford. Make sure you are frequently washing your hands, you’re covering your mouth when you sneeze or cough, and you are cleaning equipment after you’re finished using it. In addition, make sure that you’re staying hydrated and aren’t pushing yourself to the point of exhaustion. Working out under these conditions will do more harm than good. With the symptoms listed above, you are at increased risk of dehydration when working out. In addition, fever decreases your muscle strength and impairs your coordination, putting you at a greater risk of injury. Finally, these conditions are highly contagious, which means that you are putting other members of the gym at greater risk by coming in, so we would politely request that you stay home. Whether you’re feeling horribly or you’re on top of the world, we’re here for you at Fit in New England. 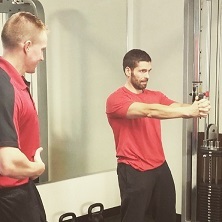 Our Medford personal trainers are skilled in helping our clients achieve a variety of fitness goals, whether you’re a professional athlete or more of a couch potato. 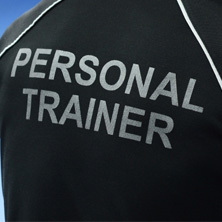 Contact us today to learn more about our fitness classes and individual training sessions!